Put the power of automation to work for your Sales, HR, and Ops teams. OnTask’s easy-to-use workflow automation tool enables every employee to create impactful solutions in just a few clicks. No code, no implementation, no maintenance. OnTask is an all-in-one platform for contract management—from creation to revision to the finishing touches. Save time, kill your endless email chains of edits, and enjoy working smarter. Empower your team to create and launch workflows that meet your unique business needs and processes—no coding required. With end-to-end visibility, you’ll always know which workflows are in progress or completed. 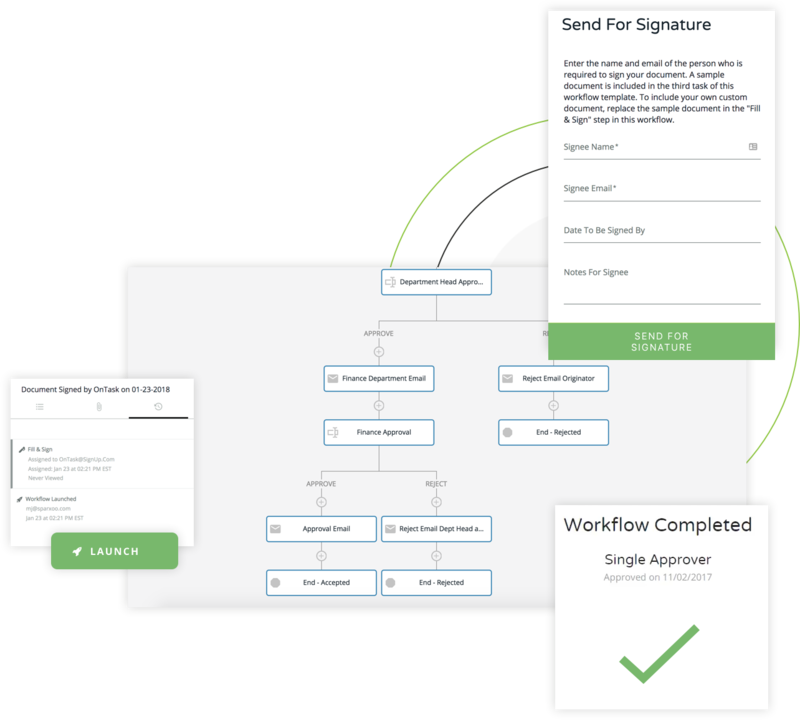 With OnTask, you can collect legally-binding signatures to execute your contract. Negotiate and close—in one process. Close more deals with less chaos. Build better customer relationships. Simplify everything—reduce paperwork, focus on people. Enable efficiency with powerful, configurable tools.